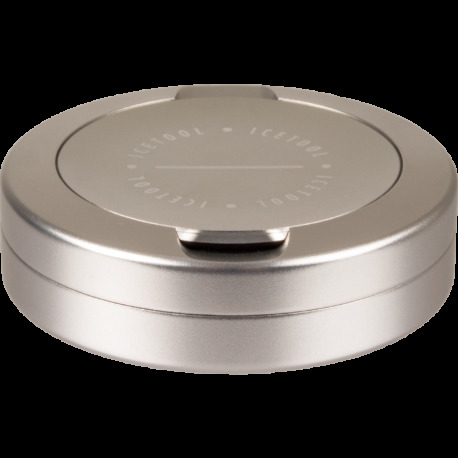 Icetool The Can with Lid - this Silver-colored Icetool snus can for portion snus is made of strong and light aluminium. Icetool's "The Can" comes with a catch lid on top. Silver-colored Icetool snus can for portion snus, made of strong and light aluminium. Icetool's "The Can" comes with a compartment lid on top. Great product. Keeps the Snus fresh and its durable. Looks nice. Doesn't trigger instant hostility in anti-tobacco environments. If the black version becomes available I will order it. I also like the fact that it has a catch lid unlike the slim can. I bought this with my last order. I love it! It can't quite hold a full can of snus, but you can put your day's supply in it. The catch lid is nice and deep. The seal is amazing. I would highly recommend it to anyone looking for a permanent can.